The Arizona Fall League is starting to wind down, with only a little bit more than a week left. Orioles prospects have been playing for the Glendale Desert Dogs, and the team has gone only 9-13, making it unlikely it will qualify for the AFL championship game on Saturday, November 17. 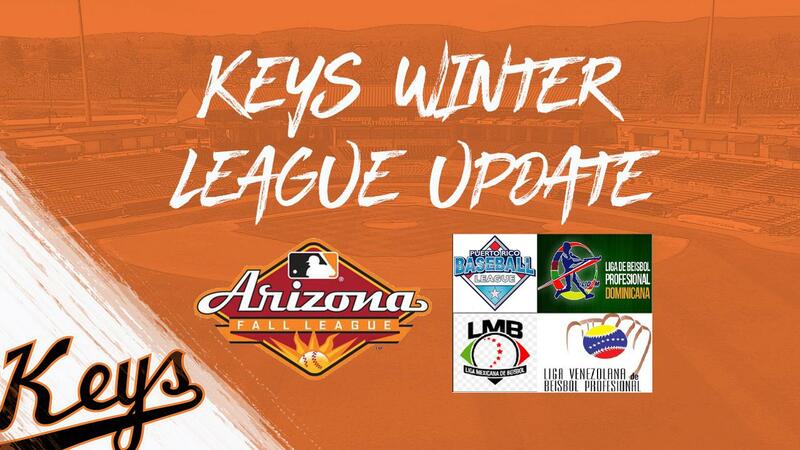 Still, former Keys, Ryan McKenna , Steve Wilkerson and Tanner Chleborad have continued to put strong numbers together. McKenna was voted into the Fall Stars game and played for the West team this past Saturday (the West defeated the AFL East team 7-6). An easy choice, McKenna is now slashing .373/.484/.647 with a 1.131 OPS in 13 games. During this time, he is 19-for-51 at the plate with one home run, three triples, five doubles, seven RBIs and 14 runs scored. He also has scored 14 runs. He recently wrapped up an eight-game hitting streak. The Maine native leads in the league in slugging percentage, is tied for first in extra-base hits (nine), second in on-base percentage, tied for second in triples, fourth in batting average and tied for fourth in total bases. A carry over from his success in the regular season, McKenna led all Orioles full season minor leaguers with a .315 batting average between Frederick and Bowie. Wilkerson bounced between Bowie and Triple-A Norfolk before making his MLB debut with the Orioles. Limited to just over 40 games though, the former Clemson Tiger has seen consistent work in the AFL and played well. Playing second and third base, Wilkerson is slashing .292/.383/.375 with four doubles, nine RBIs and six runs scored in 14 games. On the mound, Chleborad has been as consistent as any reliever in the Fall League, going 1-1 with a 1.93 ERA in eight games. Allowing only two runs in 9.1 innings, he has struck out eight and walked three. The South Dakota native has not allowed any runs in his last four appearances.